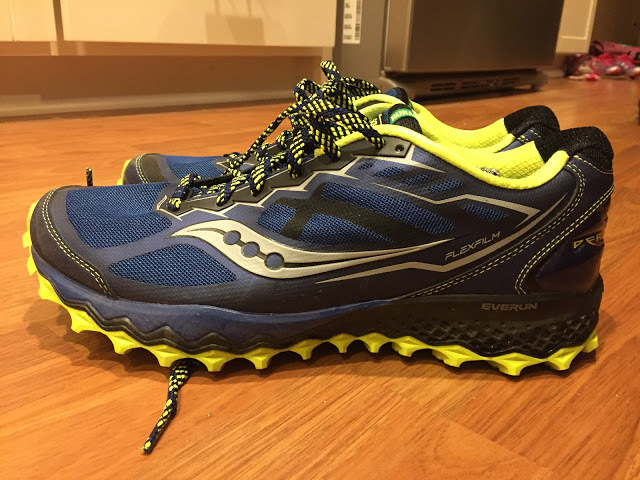 The Saucony Peregrine 7 is the 3rd consecutive iteration of this shoe that I have tested. The Peregrine 5 had so much going for it, but it was super stiff and just rubbed my heels raw. The Peregrine 6 (my review here) was completely revamped and even though I found it to be a bit stiff at first, it broke in nicely after a few runs and became one of my favorite shoes for moving fast on a wide variety of terrain. 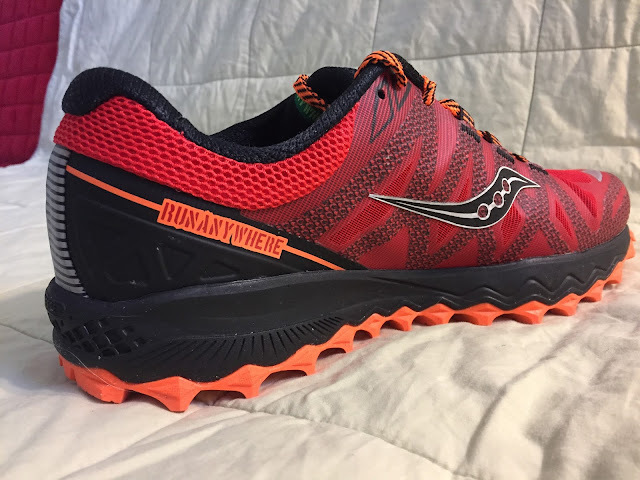 Not wanting to mess with a good thing, Saucony made just a few minor changes to the Peregrine in it's 7th version. The upper is the biggest and most noticeable change to the Peregrine 7, with a TPU Exoskeleton for enhanced support and protection. 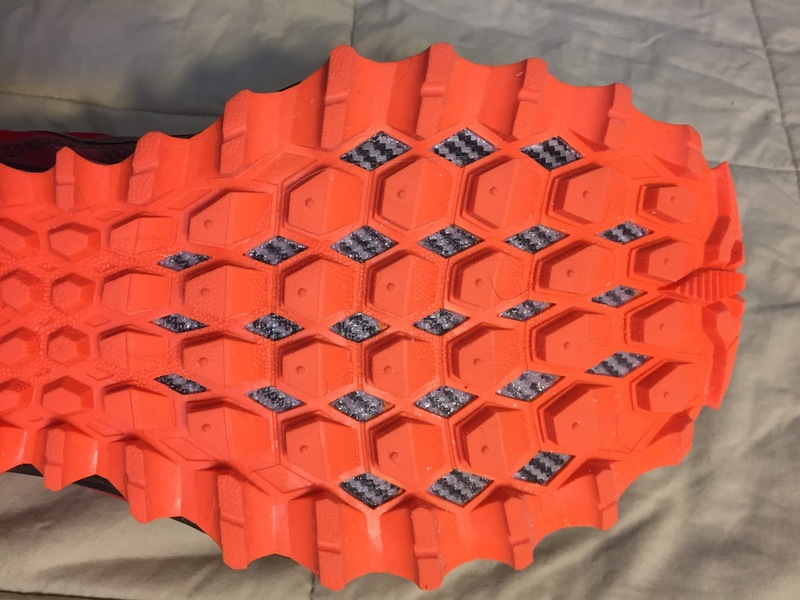 The Peregrine 6 had FlexFilm overlays similar to those on Saucony road shoes. 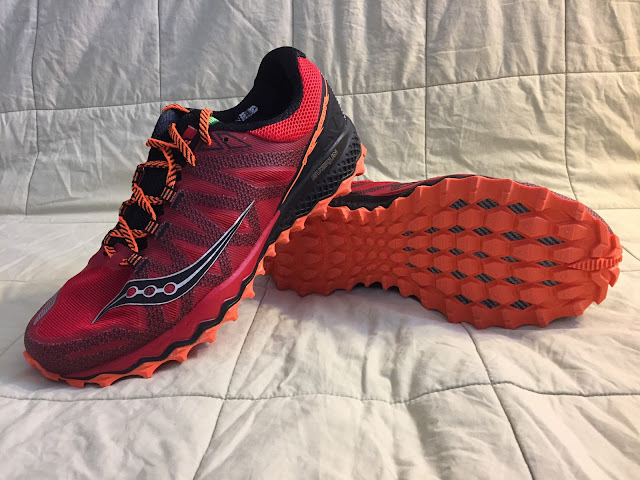 The fit of this new upper felt a bit different to me, slightly more roomy and voluminous in the forefoot than the Peregrine 6, enough so that I had to double check the size to be sure the shoe was not a 10.5 vs. my normal 10. In addition to the added volume, the Peregrine 7 runs slightly longer than the 6. Initially I feared this to be a bit of an issue for my lower volume foot, particularly how it would perform in technical terrain, but those worries were mostly unfounded, as the TPU exoskeleton locks the midfoot down incredibly well. The toe bumper is an extension of the TPU exoskeleton, wrapping around the entire forefoot. It is pretty flexible and light and offers very little stub protection. Ventilation in the Peregrine 7 remains excellent. Side by side with the Peregrine 6 (top). The metal gaiter ring found in previous versions is no longer present. I have never found a need for it, instead preferring to attach my gaiters to a lower lace. The heel counter is more sturdy where there is black plastic, but is overall semi flexible and has good support/protection. Side by side with the Peregrine 6 (left), very similar feel with just some aesthetic changes. The heel collar has a bit thicker padding than previous versions and is shaped such that it holds the heel better. The gusseted tongue is well padded and comfortable, of medium thickness. 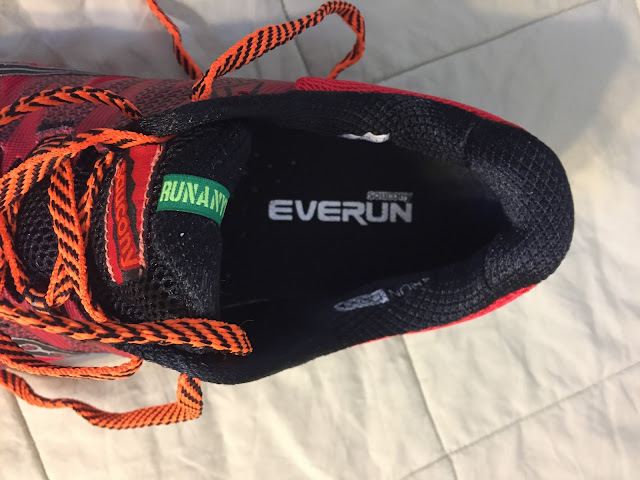 The EVA midsole cushioning is essentially the same, but with a full length Everun topsole vs. the Everun heel insert found in version 6. 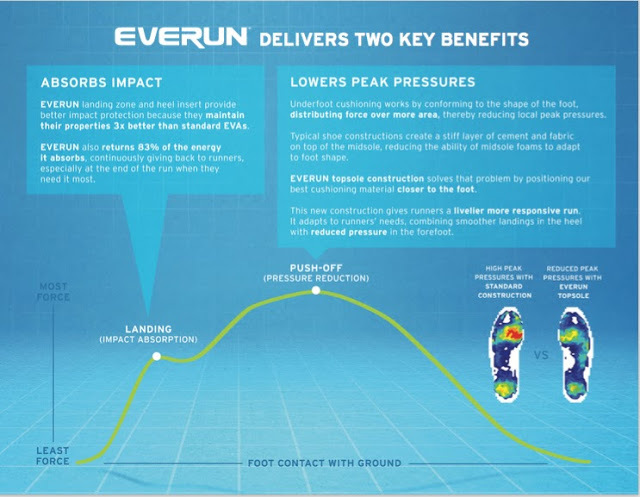 Saucony claims that this will increase energy return, but I honestly found it difficult to tell, even when running with a Peregrine 6 on one foot and a 7 on the other. Either way, cushioning is firm, yet adequate for a half day of running for most people (longer for those who don't require as much cushion) and is quite fast and responsive. The PWRTRAC outsole with EBO rockplate is unchanged. These lugs are very aggressive and are amazing off trail in loose technical terrain, in the snow, mud and just about anywhere else. The rubber compound has average to above average stickyness in the wet and on dry rock. Rock protection is very good, as the EBO rockplate seems as though it would stop a bullet. It is a bit stiff at first, but I found that it broke in and became more flexible after just 10 miles or so. Durability is also excellent, as wear is very minimal, if non existent after 35 or so miles. The lugs are appropriately directional and are extremely effective, but not cumbersome or a detriment on smoother, more tame surfaces. Compared with the Peregrine 6, essentially identical aside from color. I have about 100 rough miles on the Peregrine 6 (yellow outsole) and though dirty, show very little wear. The Peregrine 7 is a light, fast and nimble trail shoe that can handle just about any type of terrain at any speed. 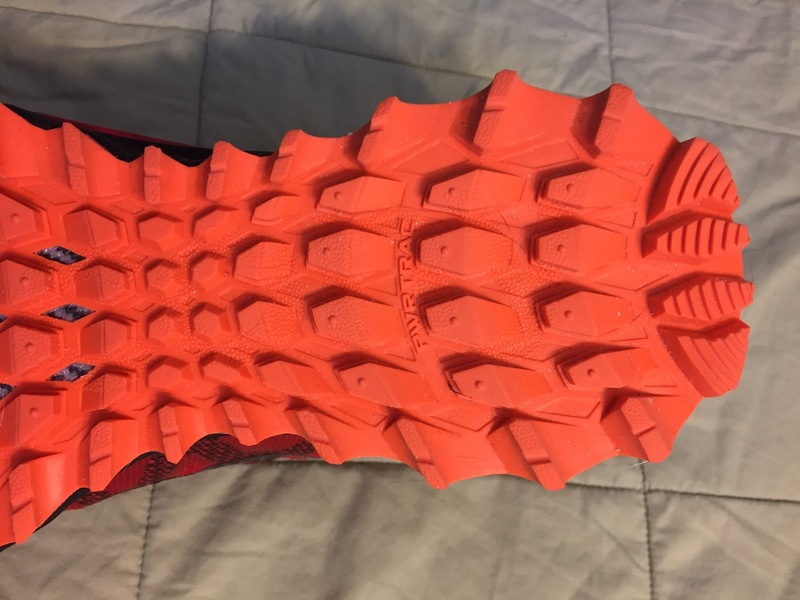 They especially shine on rough trails, steep gradients, loose surfaces, snow and mud, as the aggressive outsole is very grabby and versatile. Ground feel is somewhat muted by the rock plate, but I find that to be more of a benefit than a detriment, given the rocky terrain that I prefer. They are quite stable and contour well over terrain despite the stiff plate. Response is excellent and these beg to go fast, run very well on hard surfaces and even work well for several miles of pavement if looking for a great door to trail shoe. The Peregrine 7 does just as well at lesser speeds too, so will satisfy a wide range of runners. Like Peregrines of the past, I found them to be quite stiff out of the box, but also found that they broke in much quicker than the previous version and with the improved molded padding in the heel, any heel lift/rubbing that I found in previous versions is eliminated. The new upper locks the midfoot very well and looks to be a bit more durable (though I have seen no issues with the upper on the Peregrine 6). Despite my initial hesitation on the added room in the forefoot, I quickly came to appreciate it. I did find that it was slightly noticeable on very steep, off trail sidehilling, but was not really problematic, I was just slightly aware. 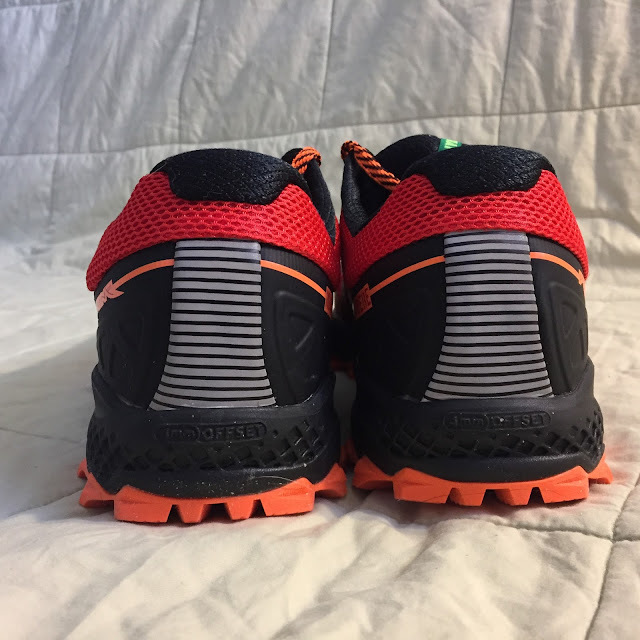 I would recommend the Peregrine 7 for anyone looking for a fast all mountain racer/trainer, or anybody just looking for a high quality, lightweight, versatile trail shoe for just about any terrain. Peregrine 7 vs. Peregrine 6 - Nearly identical shoes. If you happen to find a closeout deal on the 6, then snap them up! 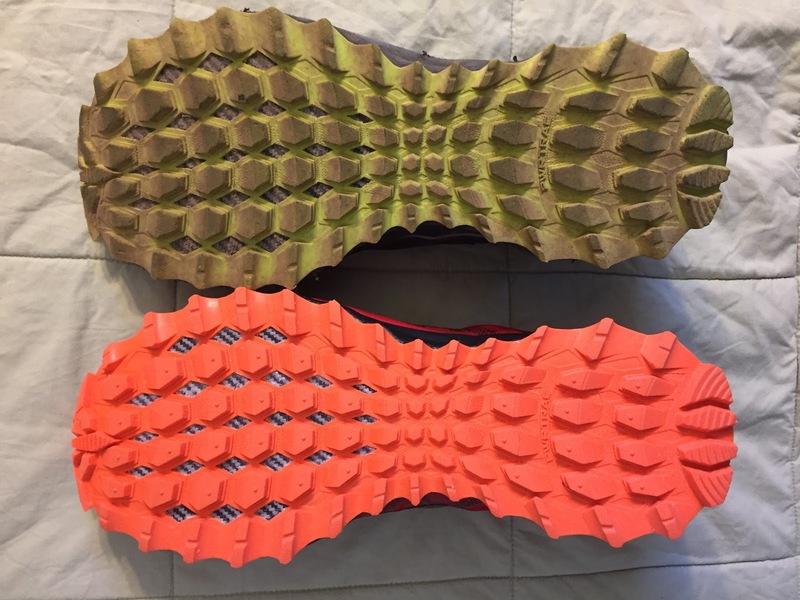 Peregrine 7 vs. adidas Terrex Trailmaker - similar shoes given their all mountain versatility. 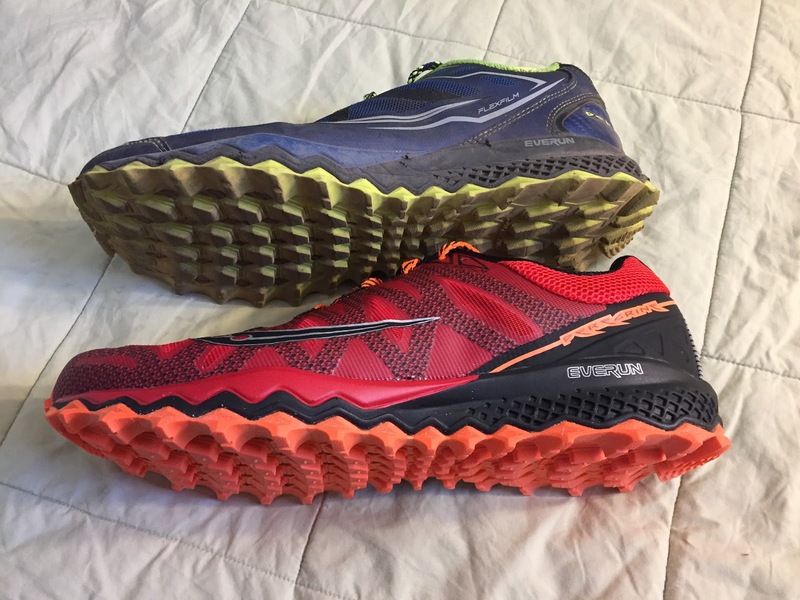 I would give the Peregrine 7 the edge in regards to speed and responsiveness, but the Trailmaker has a bit better traction due to the sticky rubber Continental Outsole. The Trailmaker is a bit heavier (over an ounce), but has better cushion and protection. 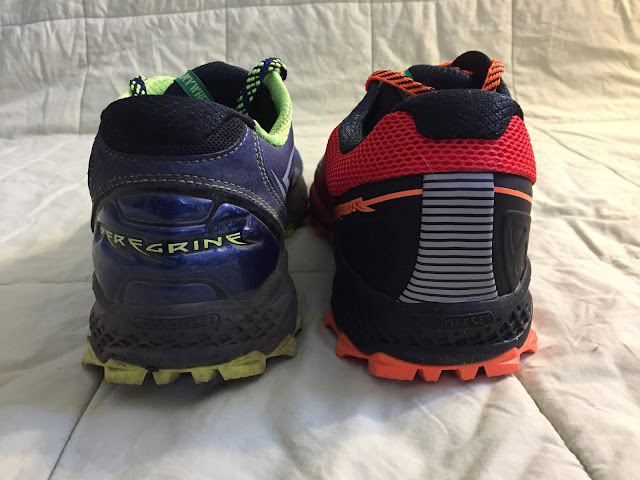 Peregrine 7 vs. adidas XT 5 Boost - a toss up, both are similar weight and are built for speed. For looser terrain, the Peregrine 7 lugs would be an advantage and the Peregrine is better for longer distances. 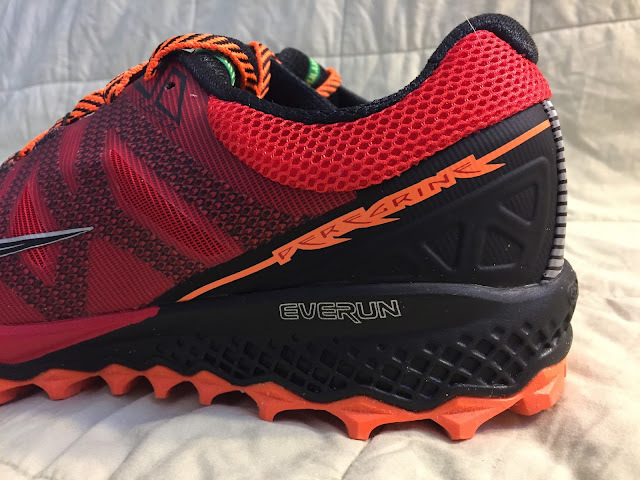 The XT 5 Boost however would be preferable on less technical terrain, or a mix of terrain over half marathon distance or less. The Peregrine was provided at no charge. The opinions herein are entirely the author's. that sounds like a very nice shoe to have. How would you compare it to the New Balance Vazee Summit? 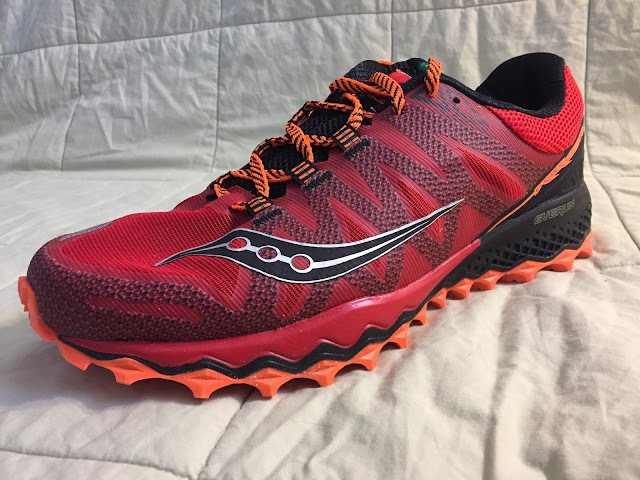 I run this shoe and like it for very similar reasons than you like the Peregrine: great grip, upper holds my feet well, light while well-protected and very decent cushioning. Would you consider those two shoes equivalent, or are there striking differences? Both are excellent shoes and I don't think you could go wrong with either. The Peregrine is a bit more substantial for longer distances, rockier, more technical terrain and better traction if you go off trail or are on really steep terrain. Good luck! I've ordered the Peregrine, and will take it in rotation with the Vazee Summit, unless there is an unexpected fit problem. No worries, glad we could help with your decision, thanks for reading. Like I mentioned in the review, the Peregrine is a bit stiff out of the box, but I found that the 7 broke in after just a run or two (vs. a little longer for the 6 and not at all for the 5). Enjoy! Kaspar, the Peregrine 6 and Summit are two of my favorite shoes. My .02: Peregrines are considerably softer midsole and a roomier fit while the Summits are more race like in fit and ride. Love them both, can't wait to try V2 of the Summits and P7! Thanks again! I've bought the Peregrine today. As you said, the fit is a bit wider in the forefoot than in the Vazee Summit (which has just about the perfect fit for me). No big deal, though. They hold my heel and mid-foot perfectly. What I didn't expect is how good they feel running on road. This could be a road shoe! Very smooth transition, no strange noises, nice cushioning. As most of my runs are mixed road/trail, this is welcome indeed. I think I've just found my do-it-all shoe! Hi Kaspar, awesome, glad we could be of help in your decision. 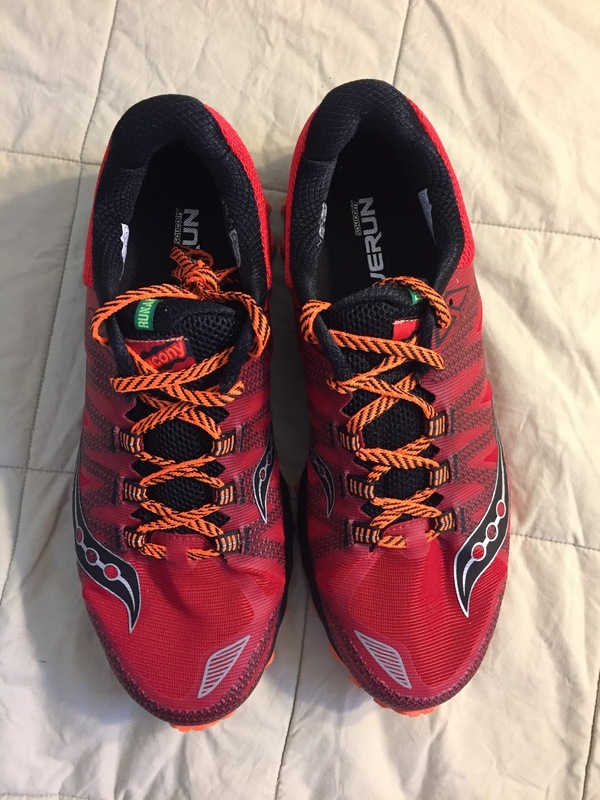 Though I did not run too much road in them during my review, I did run a few miles of very hardpack trails and some trails that were previously paved roads (with leftover pavement) and agree that they perform very well there. Thanks for the reminder, I updated my text above. Enjoy! Do you think that the mesh is less breathable than the Peregrine 6? The mesh is equally breathable, but there is slightly less mesh on the 7 vs. the 6. I really did not notice any difference though wearing them side by side. Thanks for the review. 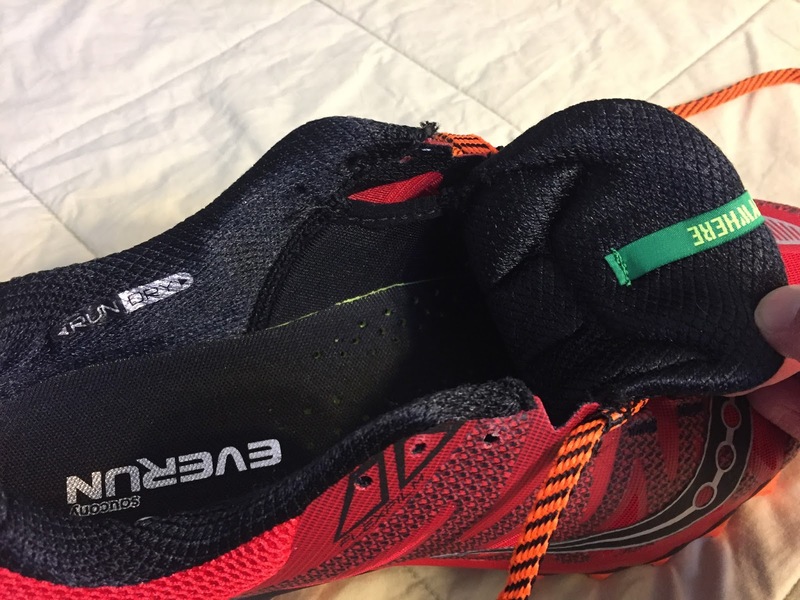 Much to my disappointment I wasn't able to wear the Peregrine 6 because it gave me heel blisters (never had that issue with previous models, but read of others having this problem with the 6). Just wondering whether you think that issue (very, very stiff heel) has been changed at all. Thanks. Interesting. The Peregrine 5 DESTROYED my heels. The 6 irritated my heels, but after a few runs got better and better. The 7 felt a little stiff at first, but never was irritating and there is more padding, so a definite improvement. 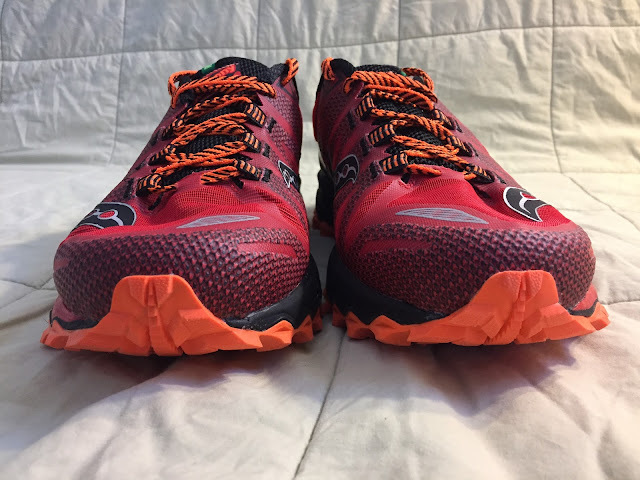 I am walking the Camino in May/June and am looking at Altra 3.0 and New Balance Leadville 3.0 as the best choices, since I have a pronounced bunion on my right foot. I just tried on a women's 8 (the same for the other shoes), and with a liner and a midweight wicking sock, I could hardly fit my foot in! Do they tend to run small? The receive high praise in several reviews. Do you have advice about the best trail running shoe for me? Hi Sue, stating the obvious here, but since you are walking mostly, and with your fit issues, fit/comfort/cushion will be paramount and take precedence over trail performance. I would suggest going to several well regarded running stores and trying as many shoes as you can. 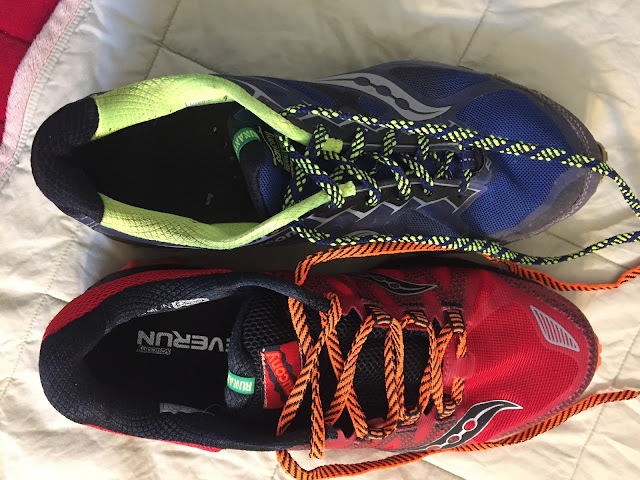 Depending on the terrain you will be walking, don't necessarily discount all road shoes either, as many of them have decent tread and lots of cushion. Good luck! Hmm I cannot decide between this one and the La Sportiva Mutant - I tried both and they both fit my feet nicely..which one would you recommend? The Peregrine is much lighter and suited for faster running, but the Mutant has better sticky rubber and more secure upper. Get both! The peregrine 7 is my favorite show I've ever run in -trail or road! What shoe would you recommend that is closest to this fit and feel in a road shoe please?